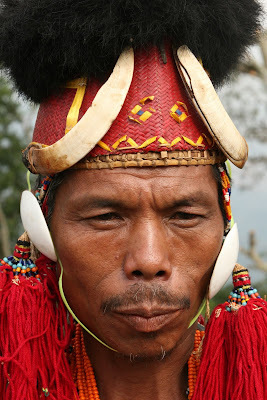 The state of Nagaland – the 16th state in the Indian Union - was created in 1963. Soon after that, the Nagas started an armed movement for an independent, sovereign Nagaland, outside of the Indian constitution. Thousand died in the bloody battle between the separatists and the Indian army, before the two parties agreed on a ceasefire. And now, here is a new, dramatic development taking place in Nagaland: Demand for a separate statehood. NSCN – the all powerful Naga separatist group. Yet, angry slogans are being heard on the streets of Nagaland now, this time for a new state called Frontier Nagaland. On Tuesday, there was a statewide rally, organized by the Eastern Nagaland People’s Organization (ENPO). Their demand: creation of a new state within the current state of Nagaland, consisting of the four districts; Mon, Tuensang, Kiphire and Longleng. This was the second rally of its kind. The first was in January this year. According to ENPO, the need of the separate statehood arises out of the economic gap between the people the frontier districts and those living in other areas.“48 years after statehood, the gap has widened and now we cannot catch up with them,” said Khoiwang Konyak – a leader of the movement. Now, let us look at the gaps. Civic facilities –including roads, communication, healthcare and education in the eastern part are in pitiable state. But the biggest bone of contention is disparity in employment status. The state has 1,20,000 plus government employees, but the supporters of ENPO say, les than 20%are from the frontier districts. That is certainly something to watch out for. Like the blood battle going on in J&K for separation, here is another state that wants to break free and manage its show…. What I don’t understand is, the millions spent for keeping these states as part of India is worth or not!! couldnt this amount be spent for something productive?? There are a couple of things that the author of this article needs to revisit. First being the history of the Naga movement. It was not after 1963 that the Nagas started an armed movement against the Indian Union. The resistance against efforts to govern them started at the very moment when the British made forays into the Naga hills in 1826. The Nagas resisted with what they had and the British responded by what were called punitive expeditions to the Naga areas. Since then there has been a slow, but steady rise in the Naga movement and political articulation. The Naga Club, thought to be a watershed in the Naga movement in the 20th century, was formed in 1918 and in 1929 told the Simon Commission that Nagas did not want to be a part of India. The movement also declared independence a day before India's independence and by the late 50s the NNC had formed the Federal Government of Nagaland. So the armed resistance, in all possible ways, began much before 1963. NSCN now is perhaps not considered the "big brother", to use the author's words, or "the unanimous leader of all Nagas, caller of all shots" to further quote her. In something that is extremely important in this context of what are called Eastern Nagas, NSCN split into two in 1988, led by Isac-Muivah and Khapland separately. They both have their social, political and geographical constituencies and operate accordingly. 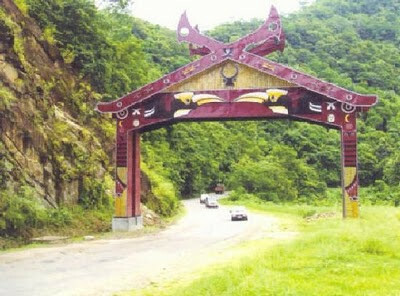 While one may find the idea of ENPO and the Eastern Nagas making an effort to to carve out a separate homeland for them interesting, one should also be informed how the organisation is involved with the reconciliation efforts that are being made in Nagaland to put an end to a bloody past if factional conflict. It now seems, for the Naga people, that the political dialogues no longer remain in the domain of the armed movements. The Naga civil society plays an active role in it and the armed movements have been wise to acknowledge this and engage with it. ENPO is a part of this civil movement. Historical information, if not presented correctly, can completely alter perceptions of the reader about an issue. This can be misinformation and any narrative emerging out of will have distortion as a key characteristic. While reports from the ground are most welcome and are the need of the hour, the thumb rule of conducting basic minimum research for a journalistic article can stop reportage from becoming counter productive, unreliable and worthless.